The STEP Eiken Test is probably the best-known and most widely-recognized test of English for Japanese schoolchildren. It is closely tied to the school curriculum and the organization that produces it is trying to get more involved with university entrance tests once they are mandated to be 4-skills (from 2020). 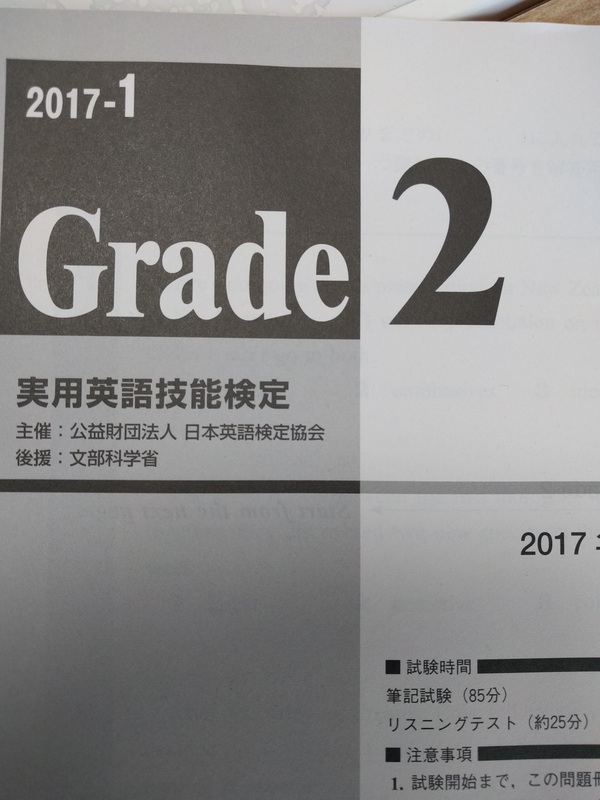 Recently there have been quite a few changes to the STEP Eiken tests, most of which took me by surprise, so this post is to give other teachers a heads-up as to what has changed and what the latest version of the test looks like. It seems as though the Eiken Foundation is trying to make the tests more rigorous in line with the new Course of Study and objectives for English education in Japan (particularly with regards to the upcoming changes to the university entrance tests). Overall I think the test seemed similar to previous years. No huge changes. The reading section seems to have gotten harder in this test. The final text was really hard. 1 writing exercise where students have to write 25-35 words and answer a question giving two reasons. The question this time was: “Where do you want to go during your summer vacation?”. They seem to be using old questions from the level 3 speaking test for this section. The reading section seems to have gotten harder in this test. The final text made me think. The new writing section is going to trip up students who haven’t done much writing or practiced for this section of the test. 1 writing question where they examinees have to write 50-60 words and answer a question giving two reasons. This time the question was: “Do you think it is better for people to eat in restaurants or at home?”. Overall this test felt slightly harder. Again, the writing question is similar to past interview questions for grade pre-2. The pre-2 test feels too long now. I think they have given too much extra time for the writing section. Overall this test felt slightly harder. Again, the writing question is similar to past interview questions for grade 2. This test also feels a bit too long. I haven’t seen the new grade pre-1 or 1 tests yet, but I presume they haven’t changed as much. You can see past papers and a lot more information at the STEP Eiken website. Anything to add? How are you finding the new tests?